Light blue scarf with white border. By “JACQMAR” printed in black on the white border. Navy blue bird with wings spread and red tongue holds a sword & shield in each of its talons. One shield is white with a red cross and the other is red with “XIV” printed on top. 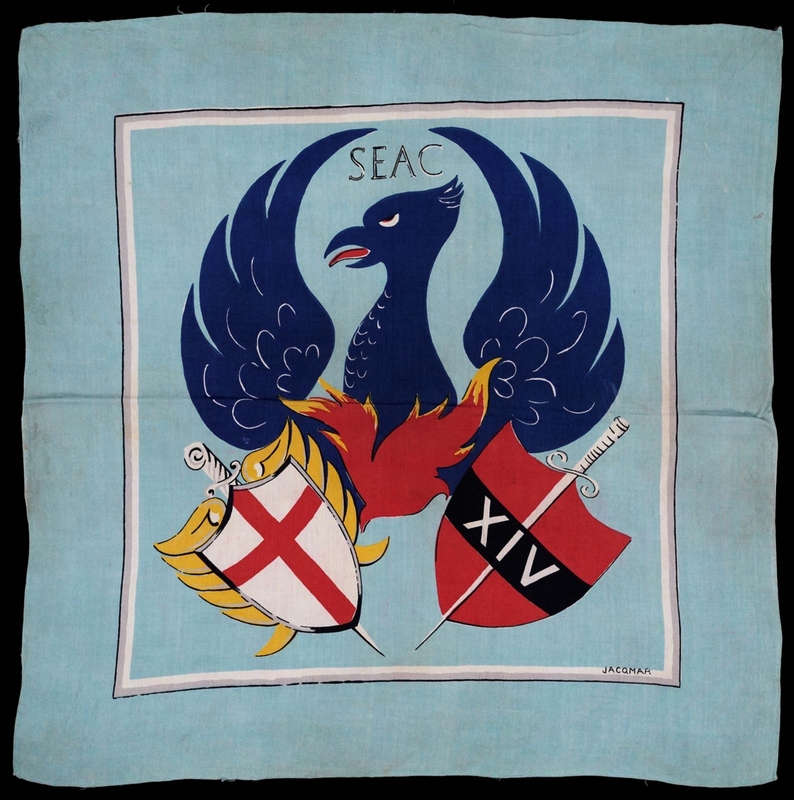 Word “SEAC” above the bird’s head.